Let’s get all the disclosures out of the way. This mod was sent to me directly from Ijoy specifically for the purposes of this review. This will not in any way, shape, or form cause me to give this mod a favorable review or change my opinion in any way. Nice looking mod. I’m digging the carbon fiber look. Looks like a cross between a Cuboid and a G Class. The Carbon fiber feels good and the mod is very light without batteries. Firing button is just huge. In the first tier of the box you have the mod itself. Take out the mod and in the bottom compartment of the box is 2 Ijoy 20700 batteries, a user manual, a warranty card, charging cable, and a dual 18650 battery adapter. 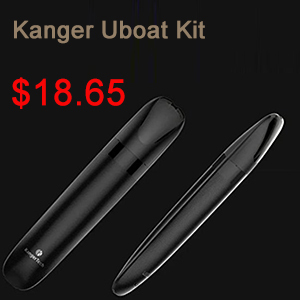 The adapter is a dual rubber sleeve with gold plated battery contacts on the closed end. I have used it and it works very well. I just want to take the time in this section to really give a lot of credit to Ijoy for including the 20700 batteries in this kit. I think it’s a fantastic move on their part especially since quality 20700’s are very hard to come by lately. They showed a lot of vision and foresight by creating a 20700 mod and developing a battery for it as well. Great job Ijoy! The batteries are 3.7V, 3000 mAh, 40 amp 20700’s. They are 2mm wider than an 18650 and 5mm longer. They are supposed to give you 30% more battery life than a dual 18650 setup. The 510 has stainless steel threading and the pin itself looks to be gold plated. It is spring loaded but it does not have a lot of travel. It will fit 30mm atomizers on it without any overhang. For some reason both Captains that were sent to me will not recognize my Aromamizer Plus. It is the only atomizer this happens with. When I screw it on it says no atomizer. To be fair, I do have a pre release version. I did convey this to Ijoy and they assured me they are looking into it. Hopefully this will be corrected before the retail version is released. Other than that little quirk the 510 has worked with every other atomizer I own and they all sit flush on it and fire beautifully. The body of the mod is wrapped in carbon fiber. It feels like a sticker but it is not cheap feeling at all. To me it feels the same as a high quality wrap would. It even has some nice texture to to it. 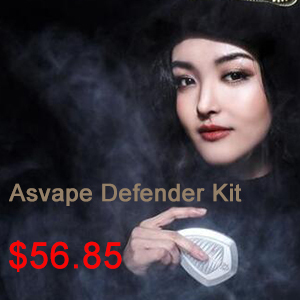 On the back of the mod there is some branding that says Ijoy Captain PD270. It is discreet and not gaudy at all. The placement of the logo is almost reminiscent of the G Class logo but it does not light up. The firing button is just a monster. It’s a big square with rounded corners that almost wraps around the edges of the mod. It is clicky as well as responsive. Because of its size it is very easy to find. It feels comfortable trigger firing it or thumb firing it. It has a short throw to it and so far I have had no issues or misfires with it. It feels and sounds like it is made out of metal. That hinged battery door is well done. Push down and out and it opens, push down and in and it closes. It is very stable and once put in place it does not move. On the inside of the battery door there are gold plated contacts. The batteries are labeled A and B and there are battery orientation markers as well. There is no venting holes on the battery door. The screen is .96” and very bright with big fonts. It can be hard to see in direct sunlight but it does work well in most lighting conditions. Plenty of information is displayed on the screen so the user knows exactly what their mod is doing. On the screen you will be able to see watts, battery life, mode, material, resistance, amps, temperature, number of puffs and puff duration. Below the screen are the +/- buttons. They are rectangular in shape with the ends having a curvature and they have a really good feel to them. They are clicky and responsive. The plus button is on the right and the minus is on the left. Below the plus button is the update/charging port. Above the screen there is some really discreet Ijoy branding that you really have to look closely to see. I really like the looks and feel of this mod. It reminds me of a more squarish, lighter, SX Mini G Class. It just has that type of look. It does feel great in the hand and I do get a lot of compliments on it when I take it out. The size is initially deceptive because the user is lead to believe that this is a heavy mod but in all fairness it is not. For its size it is surprisingly light. 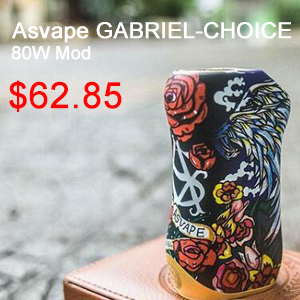 It’s also one of only a handful of regulated mods that will fit a 30mm tanks with no overhang. The carbon fiber is well done and from what Ijoy has told me they are going to have a plethora of colors in the lineup. The Captain measures in at 89mm x 48mm x 32mm. Not exactly a pocketable mod but due to its shape its no where near as awkward in your pocket a a triple or quadruple 18650 mod would be. 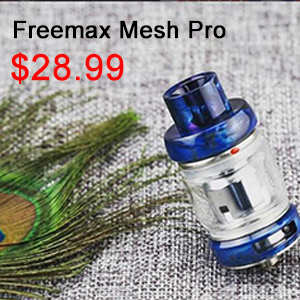 All of the buttons are very solid and if you like to shake your mod you will get no rattle at all. This is your typical Ijoy board and it is very similar to the Solo Pro V2 with a few little differences as far as the screen layout goes. It has a full temperature control suite as well as TCR functions. It will vape in Ni, Ti, and SS in TC. Like a lot of mods in TC mode you must lock the resistance. It also has a custom user mode that you allows you to adjust your own power curve. It will fire as low as .05 ohms and as high as 3 ohms. 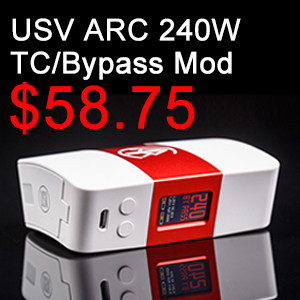 It can also charge the batteries in the mod and the firmware is upgradeable. Of course I always recommend external charging but it’s a really nice feature to have available in a pinch. It does take some time to charge those massive 20700’s in the mod or externally. In power mode there are preheat options such as soft, normal, and hard. These are not available in TC. 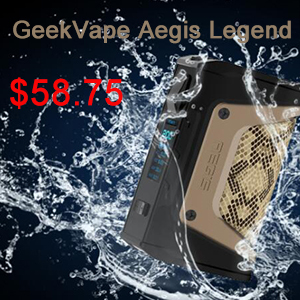 The Ijoy Captain does go up to 234 watts and the chip is designed by Iwepal. This is a very simple menu system that is also very intuitive. The Captain is great mod that provides a fantastic vape. It seems to be accurate in power and temp mode. I have been vaping this thing non stop for the past few days and I have to say I like it, I like it a lot. As of this writing I have well over 1200 puffs on the counter. Considering I have 10-15 mods in my daily rotation at any given time, thats a hell of a lot of puffs. It also means that I am reaching for it a lot more than the other mods I have. I have taken it everywhere with me and it has performed flawlessly. I have run my small single coil RTA’s on it, dual coil RTA’s, dual and single coil RDTA’s, dual and single coil RDA’s and my huge cloud chucking Sub Ohm tanks. No matter what I throw at it the Captain it performs very well. Except of course for the Aromamizer Plus. Which is a real shame considering what a popular 30mm tank it is. I really do enjoy running my big cloud chuckers on this mod. It just seems like it’s built for that. My favorite tank on it is my IJOY Cigpet Eco12. I can run that tank on it for hours at 150 watts before I need to replace the batteries. I would say this has equivalent battery life of my Lost Vape Triade. Maybe even a little better. Power mode is great but TC is smooth as well. So far I have only used Ni, and SS mode and I have to say I am very satisfied with both. If you do not run cloud chucking tanks this is easily an all day or two day mod. Realistically you could probably run a 30 watt build on this mod for days. This is a huge pro and a great reason to own a mod like this. I know if I ran my Serpent Mini or White Bone Mini on it at 32 watts that I could get 2 maybe 3 days out of a fully charged set of 20700’s.